Continuing from Flooring Display Challenge - Part II, Part III focuses on the design center experience with perspective from Floor Talk! 's Shannon Bilby. Design Centers represent an interesting hybrid retail experience in that they are places where a specific subgroup of consumers makes home-related purchase decisions. This subgroup represents new home buyers, usually in new construction developments. Design centers allow them to streamline an otherwise complex and dizzying process filled with many critical decisions affecting construction, over a very short period of time, and many months before even taking possession of the property. The decisions range from siding choices to interior floor plan modifications, to qualities of appliances, flooring options and cabinetry. Consumers start from a base-grade package and - should they upgrade - can bundle any additional costs into their mortgage for a negligible monthly increase. For a Design Center that caters to several builders, the process would start with the builder informing the Design Center designers to expect new home buyer clients. That would trigger the builder to send over blueprints to estimate the amount of flooring needed. These measurements [i.e., Takeoffs] would then be entered into an estimating program that allowed different flooring choices and quantities to be calculated quickly and easily. In anticipation of the first client meeting, designers would work from the selections originally made between the builder and client (e.g., carpet in the living room, tile in the baths, hardwood in the dining). Instead of having products all over the Design Center showroom with different prices, products were organized by price level. Levels were set by cost. Each builder had a unique pricing structure with markup built in. So, Client A with builder A might have a $20 per square yard allowance and Client B might have the same allowance with Builder B, but their allowance might fall into different levels. Setting up the system was interesting. To prepare for data entry, a spreadsheet was created to outline price, ounce weight, stain protection, fiber type, etc. Comparing the products with a quick visual glance and then a quick comparison of features really made it easy to see what each manufacturer offered in each price range. Also, if a client had specific needs, it was easy to find the product on the spreadsheet, go right to the sample without having to remember every detail or flip over every sample. A designer would create a price sheet for each client so that with the calculations made from the takeoffs earlier it took only a few seconds to calculate the cost of any upgrades. This meant that clients could easily get multiple quotes for options they might not have considered. By the way, this approach was not used in the retail showroom. Rarely would we see a walk-in client arrive with their plans and with enough time to wait for takeoffs to be done. Having that information in advance was what made the process so effective. The Design Studio employed Designers rather than salespeople as on the retail side because selections other than flooring were made. These different items needed to coordinate. For items not sold directly through the flooring business, vendor partners were used. This means that items like cabinets, counter tops, plumbing and lighting were all selected but not sold through the flooring business. The point was that all of the selections were made under one roof instead of the home buyer having to run around town to all of the different suppliers businesses and generated loyalty. + Loyalty from the client because no one else in town offered all of these services under one roof. + Loyalty from the builder because the time to make all of the selections was significantly faster. + Additional loyalty from the builder because the client enjoyed the experience so much and gushed about how positive the experience was back to the builder. + A strong community network from the vendor partners as well as referrals from them that might never have come to fruition without the vendor partnerships. To keep product selection fresh, Design Center Designers sorted through the best carpet options for each price point on a quarterly basis. The levels started with the lowest possible allowance a builder could offer up to the most expensive patterned wool. Within each level, at least one plush, loop and texture were displayed. In the higher levels, patterned loops were included. The levels in the middle might have more than one “rack” to include more options. 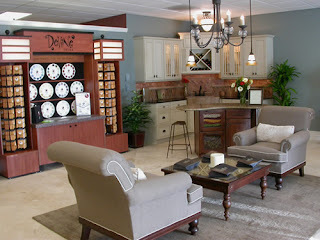 Compared to the floorcovering store, the Design Center displayed less product - taking up less square footage - but it gave clients a better, more complete process for selecting carpet. Of course, we couldn't show every color for every style. So, we chose the best neutrals and colors for each style and displayed them from lightest to darkest. The top of each level began with the plush carpets, then textures, then loops so each section was consistent. If the tile, paint colors or fabric swatches were already chosen it was simple to walk right up to the style and choose a color. If by chance, the right color was not available a backup deckboard was available with all of the colors. Larger samples were offered to be shipped directly to the customer’s home. Often, the carpet selection was made because the color was so easy to shop for. The client would find the perfect color and then worry about what price point it fell in. In the rare event that a client didn’t feel like they had enough selections to choose from, they were taken into the retail showroom. It rarely ever took more than 5 minutes in the wing rack jungle for the client to realize that it was much more simple on the design center side! Thanks to the level system, clients with a budget could easily go straight to their level to see what was included from their builder or predetermined budget. At the same time, it was easy for them to look to the left to see what was cheaper, and often less desirable, than their level. To the right, it was painless to see what spending just a little more could get them. A little further to the right, it was simple for the client to fall in love with a product a few levels outside their budget resulting in quick upgrades and promptly finalized selections. Next, Part IV of The Flooring Display Challenge and how consumers react to the Design Center retail experience. Jubilation originally uploaded by wwwmegancox.com. We have emerged from our long bankruptcy journey! Read the news for yourselves: Solutia Inc. Emerges From Chapter 11 as a Market-leading Specialty Chemicals Company With Global Leadership Positions in Each of Its Business Segments [or visit the Solutia reorganization site]. It's been a bit of a roller coaster ride. Especially lately. We were supposed to emerge on January 25th, 2008 - but the unexpected happened [see Solutia Provides Update Regarding Chapter 11 Emergence and Exit Financing]. We took action [see Solutia Files Suit Against Citi, Goldman Sachs and Deutsche Bank]. Definitely the right move as it led to Solutia Gains Court Approval of Exit Financing; Will Emerge From Chapter 11 On February 28. Tomorrow, Leap Day 2008, we will have our first global teleconference as the new company we've become. A celebration. As much as this has been a business transformation process, bankruptcy is also very much a personal one. Ours has taken four years and a few months. Think of the transformational four-year journeys you've taken. What comes to mind? High school? College? I remember being a different person at the end of both compared to the person starting out. I always liked who came out better. Same goes for this journey. I had joined the Wear-Dated carpet fiber group approximately four months prior to our entering into Chapter 11; the Acrilan fiber business I was leaving was in terrible disarray. It was soon to be shut down. Our successes there were no longer relevant. Luckily, I had a new home, but I had to reinvent myself for a new business, a new company, and a new world. So, here I am... Blogger, marketer, writer and social media enthusiast. Thank you for being part of my journey and encouraging me along the way. I'm ready for life beyond bankruptcy. 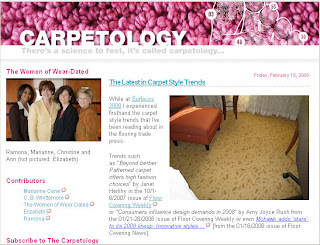 We've been busy since we announced the Big News about The Carpetology Blog... making introductions, developing ideas, sharing information. As promised in that announcement, I will periodically share with you the most recent postings. In fact, here follows one of those updates featuring the latest from The Carpetology Blog. First, I'm pleased to have you formally Meet Marianne Cone, Director of Passion! For example, how much do you know about silk? Test your knowledge with Marianne's post about The Elegance of Dupioni Silk and find out which new product captures that essence. We showcase a few of our Wear-Dated carpet fiber show stoppers in The Latest in Carpet Style Trends. And, we've very excited about Marianne's interview with FloorDaily.net. She refers, there, to our "By The Foot" marketing campaign which she describes in more detail in "Feet Appreciate Beauty." We can't let a month go by without bringing up color! 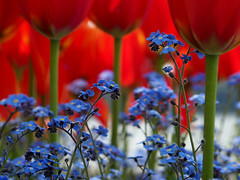 Ann Hurley contributed Red Around The World and Elizabeth was inspired by Color Me Blue Iris. Definitely expect more. In case you weren't aware, Carpet Alleviates Allergies. This is a big deal. Too much disinformation exists convincing consumers otherwise. Finally, we've started on The Carpetology Guide To Buying Carpet - Step 1: Research to highlight resources for information. Buying carpet is not as frustrating as it may seem, and we hope to make that more obvious. I hope you enjoy them all. Do let us know if there are topics we should consider that we haven't yet. Consider, too, subscribing to The Carpetology Blog. I consider Kimberly Gavin, Editor, Floor Covering Weekly, a true champion of the floor covering industry. Not only does she understand the business [she is "a 21-plus year observer of the flooring industry"], but she never loses sight that the better the industry satisfies our coveted woman consumer, the more successful we will be. 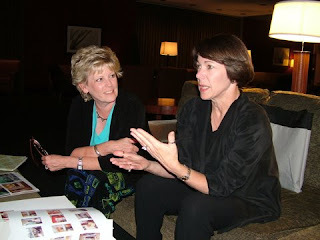 I first met Kim when she interviewed me about marketing to women and the retail experience for FCW online in June 2005 and the printed edition of Floor Covering Weekly in October 2005. I was immediately taken with her quiet enthusiasm for my favorite topics. Ever since, I've considered her a kindred spirit. CB: Kim, how did you get started in the floor covering business? I stumbled into the industry - the way I'm sure many people do. I moved to Dalton, GA from having worked in the technical documentation world of mortgage banking. An opening at the local newspaper as editor of the "Dalton Carpet Journal" provided my entree into the industry and paved the way for me to join FCW, first as Dalton Correspondent, then as Dalton Editor, then Senior Editor, then Editor in 2000. CB: What do you like most about the flooring business? What I like most about the business are the people in it. We have some amazingly smart, talented, creative people and most of them happen to also be extremely nice. It's trying to be a fashion industry (and some are succeeding); I like that. I also like that it's about making interiors more beautiful, comfortable and practical for people. It's at the forefront of the sustainability movement. CB: What do you like least? What I don't like is that some view flooring as a commodity and they market accordingly. Manufacturers and retailers who take this view do the consumer a disservice. Sheet rock is a commodity. Flooring is a personal extension of my creativity in a home. [When we sell flooring as a commodity], consumers reward us by being mostly motivated by price, which hurts margins all along the chain. It doesn't have to be this way. Also, I think with industry consolidation we have lost some of the creativity and entrepreneurial spirit the industry used to have. What's not to like about carpet? It's warm, soft, comfortable to the touch. It's safer than hard surface when it comes to slip and fall - and we're not getting any younger. It has the advantage of trapping airborne particles until they can be vacuumed away. I have hard and soft surface, but really love the way carpet doesn't show dust, dirt and cat hair the way wood or tile will do. And stylistically you can do so much with it. It's a great product. CB: Kim, what five things would you do differently to create a better retail experience in flooring? 1. Pay attention to the outside of the store. The inside and the outside should match and that often doesn't happen. Both should be as upscale as possible given the retailer's target demographic. If you're going after the Tiffany's shopper, there's your role model. 2. Do your own merchandising or join a group. Stop taking every display rack known to man. 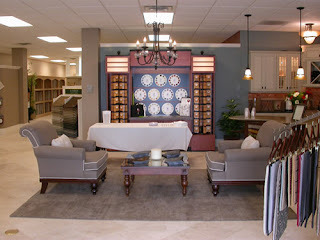 Most flooring stores look like a hodgepodge. And update those displays. Some stores are still carrying racks from long-defunct companies. 3. Hire more women, especially on the sales floor. I'm instantly skeptical that a guy can help me with interior selections. Unless he's gay, he's got a lot of proving to do to me. I'm just more comfortable that a woman can empathize with me. That's not to say there aren't some great sales men, but I think your odds are better with women selling to women. 4. Listen to the customer. Hear what she's saying and not what you think she's saying. 5. Don't be afraid to steer her in the right direction. She's coming to you for advice. Give it to her. If she's making a mistake, tell her so. Do it nicely, but do it. CB: Kim, how do you see traditional and digital media working together for the flooring industry? I have no idea how traditional and digital media will ultimately work together. What I think you'll see are the baby boomers will stick with traditional media while the younger generations will embrace digital on a much broader scale. How that plays out should be interesting to watch. CB: Which blogs or news sites do you follow? Honestly, I spend most of my time on news. I subscribe to The New York Times and The Wall St. Journal online and a local newspaper that I have delivered. I still like reading a newspaper each day. Surfaces 2008 featured a workshop titled First Impressions: The Art of Store Layout & Design by Rich Kizer & Georganne Bender. Not only did the session address my favorite topic - the retail experience - but it also included a walking tour of 3 Las Vegas locations: New York, New York, the Mandalay Place - a skybridge between the Luxor and the Mandalay Bay - and Caesar's Forum Shops. Retailing should always be viewed in terms of the shopper's perception of your environment and retail experience. Consider becoming your own customer and walking in her shoes. For example, think how Disney creates and controls guests' perceptions of the experience. A customer's first perception begins in the parking lot. You own the parking lot! Is it easily accessible? Do employees take the best parking spot? Is it clean, well lit? How comfortable would a woman be walking your parking lot after dark? Does the front of your store make sense? Is it distinctive? Can you tell what it sells? Does the exterior need attention? Can you add shrubs, etc? Have you positioned exterior signs for best visibility from different directions? [Did you know that blue is hard to see? It looks fuzzy unless you outline it in white.] Signs must be readable in 3 seconds or less. Otherwise, they are useless. Walk inside your store: what impression does it offer? Those first 10 seconds determine how your customer will feel for rest of the visit. Do all of the design concept components work together in harmony to tell a story? Does it look fun and easy to shop? The decompression zone takes up the first 5 to 15 square feet of the store. Don't try to do too much in that space other than refocus the customer. + 90% of shoppers will go to right as they enter. Therefore the right front wall should be the power wall, featuring new, seasonal, hi demand, hi profit items. + locate the service counter in the center or to the left, but not to the front right. + pay attention to what is visible at eye level. + Completely makeover your store every 3 to 5 years. At the very least, paint the walls. Their store decor rule: use neutral colors for 80% of your store, and limit an accent to 20%. + Re-merchandise your sales floor at least once per quarter. + Change your window displays frequently. Windows are the eyes of a store. How attractive are they? Are there any dead flies? List your phone number and website address on the windows in large white reflective letters. + Update your speed bump displays every week. + Check for burnt out lights every day. Store lighting matters! It sets the mood, focuses attention on product or communicates store function. Music in-store encourages shoppers to spend 18% more time in-store, leading to a 17% increase in purchases [per Muzak]. Also, your store seems friendlier and waits seem shorter. Play softer/slower music when you first open in the morning than later on when store traffic increases. Appealing to the senses: consider using sensory merchandising to draw people into and through your store. The right scents can relax, engage shoppers in your store and make them more likely to buy. Scentair.com features interesting examples and case studies. What about older people? America is ageing. This represents a significant retail driver. Think through how comfortable a consumer suffering from arthritis, or wearing bifocals or reading glasses will be shopping your store. Did you know that at 60, we need three times more light to see than we did when we were 23 years old? The tour itself was both fascinating and overwhelming, each stop worthy of its own post [e.g., FAO Schwartz]. What stood out, as Kizer & Bender suggested, was the variety of speed bumps we encountered. New York, New York we visited for the consistency and breadth of the branding examples [from manhole covers, to the carpet patterns, to the cobblestone streets.] The resort even features, outside, a 9/11 twin towers memorial and embodies the essence of this quote from Adrienne Weiss: a brand is "a country, complete with its own language, rituals, culture and customs." Everything within your store must go through your cultural filters. Did you know that the Forum Shops represent the highest grossing mall in the world? Fascinating [also frustrating if you are tired] to experience the paths [including dead ends] you have no choice but to take through the mall. Do ask yourself what kind of impressions does your store offer? What about your speed bump. Does it stop them in their tracks? In addition to the Gladwell article mentioned above, consider reading this Display & Merchandising Guide from George Little Management. It offers descriptions, sketches and resources to put store merchandising into perspective. Check out, too, this PowerPoint from the University of West Georgia on Store Layout and Design. It includes a section on Free Flow Layout with a Disney example, a visual of the 45 degree sight line, and many visual merchandising examples. May Flowers 1 originally uploaded by sp_clarke. Spring is in the air. Not just because I'm an optimist. Although I am. Being in the midst of a snowstorm [first decent one of the season] isn't a reason to doubt the lengthening days, the increased activity level of birds, squirrels and chipmunks. It will happen. I know. I'm May's Child! Phil Gerbyshak tagged me in December's Child Is... to participate in an interesting meme about getting to know more about the people whose blogs you may read. 2. Pick your month of birth. 3. Copy-paste the traits for all the twelve months (see Phil's post for the full list). 4. Highlight the traits that apply to you and if you would like write some wit or not. [Hmmmm. This could get interesting.] Let's see. Stubborn and hard-hearted. I have strong focus. I'm not unreasonable, so I wouldn't call it stubborn. And more like warm-hearted, with a protective outer layer. Strong-willed and highly motivated. Oh, yes. I will not be distracted - too much. Sharp thoughts. What is that supposed to mean? If you're observant, and you notice inconsistencies, are you supposed to apologize for something? Hmph. Easily angered. Who doesn't get a bit hot around the collar now and then? Especially if there's a reason. But, otherwise, I am calm, even-tempered, the very picture of reason. A seasoned adult. And, I never hold a grudge. Well, almost never. Deep feelings. Absolutely! You had better have deep feelings if you are going to blog, right? It's called passion. I take it very seriously. Beautiful physically and mentally. Well, of course! Firm Standpoint. If you're going to blog, you had better have points-of-view that you are willing to stand behind. I take that seriously, too. Easily consoled. Yes, especially if the feelings are genuine. Systematic (left brain). I'm practical, okay? Loves to dream. Oh, yes! Strong clairvoyance. Are we talking, being purple, obsequious and clairvoyant? Possibly. Sickness usually in the ear and neck. Other than a stiff neck when I get tense, never! Good imagination. Yes. I had better, right? Good physical. Yes. See below. Weak breathing. Totally wrong. I spin. You can't spin and have weak breathing. Not. Loves literature and the arts. Oh, yes! They help me dream about possibilities. Loves traveling. There's something about those airplane and train rides that fills me with ideas, dreams, plans and possibilities. Dislike being at home. Absolutely not! Too much travel makes home the only place to recharge. Home is sanity. Home is calmness. Home - and the people within - is the center of my universe. Not having many children. I have one child. Quality over quantity. I recommend it. Hardworking. How many bloggers do you know who aren't? High spirited. Yes. Goes hand-in-hand with passion. However, in my case, it's grounded high-spirits. Spendthrift. I call it being responsible and practical. What Happens When Experience Economy Meets Recession Economy? 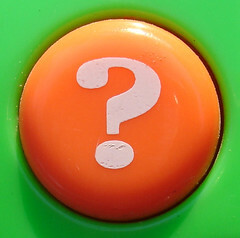 Orange Question Mark Button originally uploaded by jhhwild. 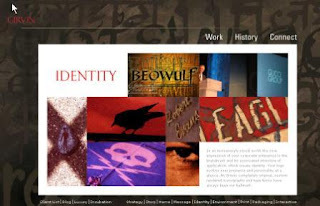 I contributed my perspective [Guest blogger CB Whittemore on the February theme], but I'm still thinking about the question and the implications, especially as it relates to demographics and our having more people [i.e., 60% +] over the age of 40 than ever before. This has serious implications. For the economy. And for retail. + #3 - Adapt Your Life to Web 2.0: Turning Your Company into a Complex Adaptive System and The Role of Collective Intelligence. Although the series is to-be-continued [and I urge you to stay with it], the 'zeitgeist' David refers to affects us all profoundly. As Economic Woes Reveal a Long-Felt Unease, retailers will need to adopt new ways of reaching consumers. That's where Stephanie's question becomes particularly relevant: What happens when the two economies collide? I believe that experience will matter more than ever as we become increasingly demanding and intolerant of sub par experiences. Combine the notion of reduced financial resources with the ever elusive and disappearing resource of time, and you can be sure that we will be willing to walk away if we aren't satisfied. Think about it. We have lots of stuff - clothes, nick-nacks, furniture, toys.... [Just look at the dramatic increase in storage facilities around the country. What do you think goes into those storage pods? If you don't believe me, read Self-Storage Nation. Americans are storing more stuff than ever and Self Storage Association: 81 Percent Growth in Number of U.S. Facilities Since 2000.] So, if we are drowning in stuff, unless new stuff represents something truly unique and experiential, we will ignore it. These rental concepts - Toy Rental Service or Bag, Borrow or Steal - represent uniquely fascinating approaches to the stuff dilemma. Even sustainability and environmental responsibility are becoming unique and experiential. Authenticity comes into play, too, not to mention drawing like-minded people together into communities around shared interests and experiences. We yearn for experiences. We're just tougher about how we evaluate them and decide to participate in them. What about your experience? How is it? How does it reflect your consumers' zeitgeist? What do you think happens when experience economy meets recession economy? True Stories: Trends in Story, Brand, and Experience Design. An Exploration of Authenticity, Storytelling, and Integrated Luxury Branding. Needless to say, I was intrigued. I left spell-bound. Here's why. Girvin believes in stories. He communicates in terms of stories. He connects with others via stories. Stories represent the link between otherwise disconnected beings, ideas and products. Stories are reflective narrative. We all have a story, he says. 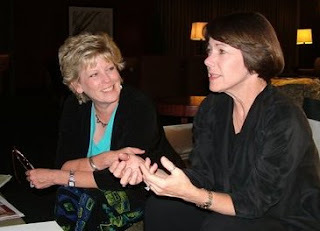 We connect with one another through story elements we have in common. After all, story captures personality. Personality attracts others. Before you know it, you have a community made up of people attracted to that personality and story. Step beyond personal brand story to a product's brand story. Don't you find that the story connects you to the brand? It helps you remember distinct aspects of that brand's characteristics, its personality. Story is a shortcut to absorbing those characteristics and making them relevant to you. Story helps to efficiently convey those relevant aspects to others. Tim has a fascinating story [I encourage you to learn more about him from the link above, via Tim.Girvin.com where you will find soul-inspiring writings, photos and illuminations, his GIRVIN:D.log blog, and the Girvin company website. ]; he characterizes it as evolutionary and fluid. Powerful words. "Evolutionary" and "fluid" make me see connections all around me. So does narrative. Fluid, liquid history helps me appreciate the past, present and future - all continuous and timeless, evolving. It includes macro themes [think myths, legends and archetypes] as well as micro details [think quips]. Yet, history also contains [vessels of memory, holding relationship] in a context relevant to me. Nowadays, people are overwhelmed with too many messages. How to cut through that? They are knoweledgeable about what's real [i.e., authentic] and suspicious of brands that are indistinguishable one from the other - especially when logos have little meaning, and the absence of logos actually appeals more. Authenticity matters. Traditional brands are under pressure because so many cheaper alternatives exist. What then is the difference? What is the truth? What is the truth that matters to that brand and brand community? Truth for an Apple lover will differ from that of a Harley-Davidson fan. What is authentic to that brand essence? Authenticity is the benchmark against which items are judged. I look increasingly for authenticity. I think many of us do. Perhaps it's a function of ageless marketing? And also being weary of falsehoods and inconsistencies, poor quality and unsafe products. We seek the truth. If something fails, the brand loses meaning; brand integrity becomes questionable, and brand community a farce. As marketers, then, we must ensure that brands communicate authenticity consistently to our brand community. Discovering and communicating the real, original story behind a brand becomes, then, an even more critical and effective way to connect. After all, a logo is only as valuable as the brand it represents. It manifests the story and brand. Girvin urges going farther and deeper into the history of the brand to how it began. Every brand starts with a human being, reflecting that being. Think Apple and Steve Jobs, Nike and Bill Bowerman, both examples of the brand as "the genome of personality." The brand exudes so much passion that it develops into a cult that becomes part of culture that turns into love, committment and deep loyalty. Example: Nordstrom - the story is about the holistic integration of the Nordstrom family history with the store's evolution to provide legendary Nordstrom customer service. The promise is all about the customer's delight with the Nordstrom retail experience. Example: Yves St. Laurent - the story begins with Yves St. Laurent himself, embodying Parisian character and sensuality. But, how to ensure continuity beyond the originator? First with Tom Ford, then with Stefano Pilati? Tom Ford has moved on; he exudes strong sexuality [note: the Tom Ford website includes a warning!]. With a strong affection for the handmade and thoughtful truthfulness about true luxury, he wants to bring that sense of truly individual and unique back. Pilati seems truer to the original YSL mystique. Example: Hermes where the legacy of Hermes products has a great deal to do with the management of the legacy over time [please read the 5 page article form Vanity Fair titled "From Hermes to Eternity..." which tells the story of the Dumas family and their amazing commitment to the integrity of the brand. It's fascinating.]. Brand story matters because it differentiates from commodity. It is highly competitive. It is uniquely positioned. It is not only relevant, but also resonant. It is human and warm, truthful and authentic, creating layers of connection. True stories take a brand way beyond image advertising. True stories make brands authentic and engaging. The Flooring Display Challenge continues! What started with The Flooring Display Challenge - Part I, continues here with a response from the flooring industry's and Floor Talk! 's Shannon Bilby. I could not agree more that customers are looking for an experience. This is not a trip to the grocery store; this is an emotional investment that will remain in the home for a very long time! In my experience, customers feel more comfortable and purchase more in a “home” environment where they can really appreciate the experience being created. This is especially true for major purchases like flooring. Creating a “home” experience sets the tone, helps create a safe yet inspirational environment in which to make flooring selections and other important selections for the home. It’s just as much about how they are treated and the environment they are in as the quality of the products you are providing. Clients need a relationship with their floorcovering consultant. They don’t want to be sold by a stranger. When selecting a material like carpet -- that will remain on the floor for many years, that children will play on, Christmas presents will be opened on -- they want that warm fuzzy feeling that comes with an experience, not just a trip to the flooring store. One frequently missed link is that floor covering is not a stand alone purchase. The floorcovering you choose ties into: your lifestyle, the walls, the furniture, the cabinets, the foundation and many other areas. From a product perspective, it’s hard enough for sales consultants to keep the product selection straight. Can you imagine how the consumer feels when they walk in and see what appears to be the same sample over and over with different labels on them? At the rate the floorcovering industry changes, it’s too overwhelming for the consumer to be responsible for keeping up with the latest fiber, stain protection, etc. I was fortunate enough to have worked in an environment where half of the business was walk-in retail and the other half was a design center -- by appointment only. We tried different approaches. On the retail side, even though clients were guided by well trained sales consultants, the decision process took longer. Customers had to go back and forth between carpet racks trying to compare like products while keeping the budget clear in their mind. The consistent glaze in their eyes while they tried to absorb all the information and balance the budget numbers at the same time played a large part in the decision to find a different way to present product to the consumer. In one location, we grouped like products together with no regard to the different manufacturers. We wanted to group them from the least expensive to the most, but because of the different styles, sizes and colors of the wing rack cards that method ended up looking too messy. We then took uniform wing racks with the store’s logo only and placed all of the berbers together in one rack (grouped by manufacturer to look neater), all of the patterned berbers together, all of the wools together, and so on. That method worked extremely well in a retail situation because we also had a back-up spreadsheet/cheat sheet to complement the system. If a client came in looking for a beige small looped berber, we could take her over to one area and show her everything we had to offer. It was so much easier on her rather than dragging her all over the store to different racks. Most of the time, she didn’t care what brand, she wanted what she wanted regardless of who made it. Seeing how well this process worked made our decision about displaying carpet in uniform racks with large loose samples, by level and color in the Design Studio very clear. The approach was not only extremely efficient, but it resulted in quicker closings and happier clients. Too often, I think, store managers lay out a store that is easier for manufacturer sales reps to just come in and put up displays rather than for the sales consultants and clients to use as a shopping tool. It was entertaining to watch the reps wander all over the store like an Easter egg hunt looking for their drops. They didn’t like it, but the clients did – and that’s what was important. We also tried a separate rack at the front for featured products or most popular products, but found that most people needed to see more choices. It worked ok to have the rack up front and a duplicate sample in the correct “category,” but in the end we changed it because the space didn’t generate enough return for the square footage invested. Let’s face it, sometimes going to the flooring store can be as exciting as going to pick out a new car battery. BUT it doesn’t have to be. It can be so much more than that. Part III of The Flooring Display Challenge will look at how design centers showcase flooring products. 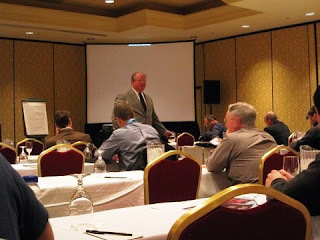 I first encountered Tom Jennings during Lis Calandrino's 2007 Surfaces panel discussion on Tips From The Trade. He was fascinatingly full of wisdom then -- and even more so this Surfaces as he addressed "Installation is Not a Dirty Word." Tom has a soft-spoken low key presentation style. Don't let that deter you from absorbing some of the most relevant business and customer service advice available. I hope all retailers heed his words. Here follows my take on his presentation. + Product won't sufficiently differentiate you from your competition. "Your staff is the only truly unique offering that your company has to sell." The way you sell, install and follow-up are true differentiators. Only by delivering a superior service experience can your store distinguish itself from competitors. "Each store's staff collectively make up its 'fingerprints'." [Isn't that a great image?] No two are alike, but together they create a significant differentiator assuming they all cooperate. "What is your store's unique selling proposition? If not service or installation, you are vulnerable. Product or price are not sufficient." Were you aware of the following? According to research from WFCA, consumers now shop fewer than 2 stores -- compared to 3.5 stores 10 years ago and 5 stores 20 years ago. Consumers actively use the Internet to explore options ahead of time. If a consumer walks through your store doors, she has essentially pre-selected you. Are you ready? 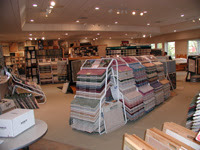 + Carpet and flooring aren't completely sold until they are installed in the consumer's home. [In fact, Kim Gavin in her 11/5/2007 FCW editorial titled "The solution: Take responsibility" says "Manufacturers, distributors and retailers all think they are in the floor covering business. Wrong. They sell floors and until it get installed properly, it isn't worth a thing."] So why does installation gets relegated to areas farthest from the selling floor? In the sales process, it is treated as an after-thought. What a mistake! Installation is an opportunity. It represents a service experience -- bundled with product -- and major differentiator! What is your attitude regarding installation and service? Your attitude will affect your team's attitude. If you don't project a strong appreciation for both, no one else will. + Don't ever become complacent with your service experience. Know that you will always receive the results that you are willing to accept. What are you willing to accept? Can you do better? Can you expect more? Can you improve your systems, provide better training, or anticipate for the future? Jennings urges to "Inspect what you expect." Have high standards. + To be in control, take control. Quality is never an accident: it is planned for. Great companies never expect their staff members to self train. Do you test for knowledge or simply accept someone's word? What are you new installation procedures? How do you inculcate knowledge? Slow down and get it right the first time. Reward improved performance: good attitudes are contagious. Pass on compliments; say thank you for doing something right. Focus on what matters to customers. + Sales is a relay race. It starts with the salesperson, then moves on to measurement and installation. Everyone [i.e., each collective fingerprint] plays a role in ensuring that the exchange or hand off takes place smoothly. If one handoff fails, the whole experience breaks apart. + Do you tell customers what you do well? Forget about telling them that you match the competition. What is unique about you, your staff members and your experience? Does your staff know? Marketing -- everything you do via your store, salespeople and how they sell, brochures, website, installation experience -- matters in delivering a consistent experience every time. Customers will pay for peace of mind. They are allowing you [and your installation crew] into their house. Don't you think they want to count on and trust that all will go as expected? + Customers will pay to have something done their way. Specialized installation services cost more, but return more. Customization is a point of differentiation. Are you prepared? Do you have vignettes that demonstrate your capabilities? You had better. More often than not, installation related services will generate more than the goods themselves. Product is not enough and if you look at other industries [e.g., Jiffy Lube grew out of customer dissatisfaction with the experience car dealerships offered for oil changes], any time consumers aren't able to build relationships, they go elsewhere. Think where the loyalties lie - with with the person you can trust. So, be that person. Offer great experiences and build customer loyalty. That loyalty leads to repeat orders which are more profitable than initial orders. People will talk. What are they saying about you? + How welcoming are you of complaints? Jennings tracked complaints and found that 5 out of 6 customer service calls were a function of poor communication, rather than sub par installation. Complaints are usually concerns that aren't initially well handled, and expectations aren't met. Thank customers for calling. Complaints also come from people purchasing the wrong product and not being happy with the end result. Learn more about each customer; don't rush to show product. Rather, adopt a consultative approach. + First impressions leave lasting images. What impression are you creating? Think of the level of assurance that comes from the FedEx or UPS brands. Impress your customers. Call them to let them know you will be on time, and what you are driving. This creates a high level of confidence. + Look sharp. Feel sharp. As a society , we respect crisp uniforms. Act and look like you know what you're doing. We perform to a higher level when we are perceived to be more capable. Remember that it's the customer's initial impression that matters! + Artists always sign their work. How is your staff making their exit from a job? Installers should always leave a business card upon completion. It makes them accountable. Be sure to do a walk-through with the customer. Address any problems on site: have a plan, explain full details, time expectations. That's part of the final handoff. Sales personnel should always followup with customers within 24 hours of completion, giving them enough time to experience the job. When you call, use a positive tone; say "I trust we did" [vs. I hope]. Ask for referrals. So there you have it. Invaluable pearls of wisdom, relevant to any customer experience, particularly one where satisfying the customer involves more than just a product transaction. Too many flooring retailers focus solely on product. Try going beyond that product transaction. Offer an unforgettable customer retail experience where all of the steps smoothly connect, and where installation - rather than being a bad word - represents the culmination of the experience. You can bet that it will lead to many profitable relationships. Kim ends her editorial with the following: "Most consumers are making a huge investment in their floors. The floor covering is only part of it. They want the whole package and are willing to pay for a quality job. It's time this industry stops treating installation like an afterthought and recognize that it's the final and most important step in the process of satisfying our customer." In my opinion, anyone who doesn't take installation seriously, who doesn't consider it an integral part of the overall retail experience, shouldn't be in business. If it matters to our consumer, it matters to us! Ideas are swirling around my brain. Not just because of Surfaces 2008, but also because of BRITE '08, Columbia Business School's recent conference on branding. innovation. technology. It took place this past Friday [with an afternoon CMO roundtable session the day before] at Columbia University and picked up where the June 2006 Columbia Business School/Corante Innovative Marketing conference left off. That conference inspired me to blog. 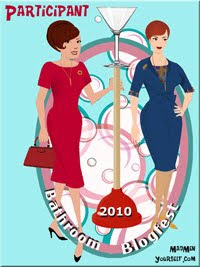 BRITE '08 has only strengthened my resolve to explore. How else to figure out the right marketing tools for a world rapidly evolving beyond captive consumer audiences with no choice but to swallow our messages as we rudely interrupted them? During BRITE, we heard about companies -- Eli Lilly, P&G, GE, SAP -- reinventing themselves and showcasing Big Think Strategy. Not by comparing themselves to their direct competitors, but rather by looking to their customers to figure out how to offer them more value, by looking outside of their industry and category to deliver that value, and by generally questioning the tried and true sacred cows. We heard how Univision, Lego and Cisco have effectively created open systems to engage customers and build brand loyalty. Yes, it's scary to let go of control, but did we ever have it to begin with? We heard about networks and communities, built around common interests and conversations. We heard about interactive media tools -- with examples from politics, gaming, mobile devices and consumer products -- to make brands more interactive for end users. We even heard about TV2.0! As Francois Gossieux and Lois Kelly [author of Beyond Buzz] explained during the CMO roundtable sessions, this new media environment is one where consumers tune out companies while tuning in people, have an insatiable appetite for content, and react inconsistently to the cool new stuff that companies put out. What's a marketer to do to engage customers? And, as David Rogers, director of Columbia Business School's Center on Global Brand Leadership asks, if the old brandbuilding model is broken, what does the new one look like? Stay tuned for more perspectives and details from BRITE '08. 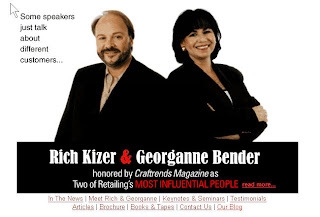 Thank you to Lois Kelly and Francois Gossieux for inviting me to join them and an elite group of marketers and bloggers [David Berkowitz, Tom Guarriello, Max Kalehoff, Valeria Maltoni and Amanda Mooney] to extend the conference conversations. + from Tom: Is Marketing A Discipline In Crisis?, Time to Get BRITE. Do visit the BRITE Conference blog and check out the BRITE Flickr.com group. 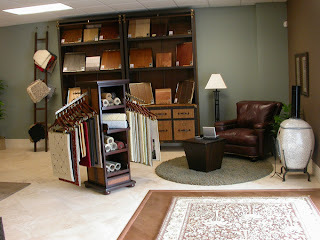 Do you remember the Flooring Display Challenge as announced in How Might Flooring Displays Tell Better Stories?? It has generated fascinating input from within the industry as well as outside the category. I recap them here. Perhaps they will spark more ideas? Mario Vellandi recommends visiting "DIYs and niche stores for paint, siding, and window devices [curtains, blinds], and see how they do it". Essentially, go outside the flooring category to brainstorm. Another fascinating source of display inspiration comes from commercial [or architect/designer focused] carpet showrooms. I've seen product shown as artwork - in frames, hanging from walls, with focused lighting. It looks special and generates conversation. He asks "What kinds of flooring materials are sold? carpet, vinyl, wood, tile... Each material has its own personality." I love the notion of these products having distinct personalities. It makes sense. Although each should be able to interact with the other in a home, the interaction would happen remotely - as a handoff from one surface to another. Imagine a carpeted bedroom leading to a tiled bathroom, for example. Or a kitchen to a garage. Doug Meacham shares a consumer electronics perspective. Surprisingly -- or perhaps not so surprisingly -- many consumer electronics retailers share quite a bit with flooring retailers! "CE retail competitors and virtually all pure retail operators for that matter, must partner with all of the brands they carry to offer the customer a wide array of offerings. The individual brand images are not clearly reflected in the average retail experience because the retailers 1) won't typically give preferential treatment to selected brands and 2) can't afford to set up individual brand experiences within the store. What you are left with are those bland POP displays that are provided as part of the purchasing deals with the vendors." Which makes The Apple Store experience that much more unusual in how integrated and strongly brand focused it is. Doug explains that "unlike Circuit City or Best Buy, Apple has the luxury of being able to design the retail experience around the Apple brand and its limited number of products. It's clean, simple and easy to incorporate the brand image into the store design." Retailers like IKEA and Pottery Barn -- and Apple -- offer a retail experience carefully controlled and orchestrated around their brand and products. Using vignettes to "demonstrate the product in a way the customer can relate to" he explains is extremely effective, having done so succesfully in many Circuit City innovation test stores. 1. Flooring is not something the average customer buys frequently. When it is time to replace or upgrade, customers are overwhelmed by the number of options available to them. Making the right choice comes down to striking a balance between texture, color, maintainability and cost. That can be daunting so having the right level of help in-store is critical. Buying furniture presents a similar problem. Ethan Allen's approach of putting interior designers into the store mix has been highly successful. Can you simplify the selection process? Can you translate the tools on the Wear-Dated website to the in-store experience? Can the Wear-Dated brand support its own branded retail experience or perhaps partner with a furniture brand in a way that allows your products to be shown like you described in your dream store while at the same time, offering a high level of guidance? Lots of opportunity to show the product in vignettes with that approach. 2. In the end, customers don't want "flooring products". They want solutions to a problem or need that they have. It may be that they want a bedroom floor that feels like walking on a cloud or an entryway that makes a statement about their personal style. Find ways to present flooring products as solutions to those problems instead of just dazzling assortment of materials, textures and colors. 3. Look at placing your products in real use areas. Hotels are using their rooms to market mattresses, plumbing fixtures, linens, and electronics. Why not carpeting? Hey if it can withstand hotel traffic, imagine how well it will do in your house. Ryan Karpeles' suggestions include using vignettes or model rooms (similar to IKEA). What about "incorporating samples into the web site. Allow people to take photos of their existing rooms, and then swap virtual samples in and out to see what it would look like." This idea caught my imagination: What if you asked anyone entering your store to remove shoes? Then invite your customers to walk around on your different flooring products. Carpet, in particular, is such a sensuous product and yet it is never sold as such. Walking on it barefoot would help make the point! From the retail experience perspective, Ryan says to "make your store smell like a home, rather than carpet. Bake some cookies. Light some candles. Etc, etc. Stay meticulous. Never let the store get sloppy. Keep it neat, organized, and sharp at all times. Turn your store into a home. Allow people to envision themselves in their house - not a carpet store." Finally, "find out exactly what people need and why. Give recommendations based on their actual situation/preferences." What a wild concept asking people! Imagine that. Thank you, Mario, Doug and Ryan! 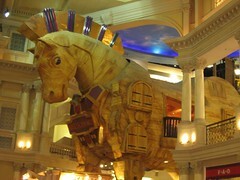 The FAO Schwartz Trojan Horse originally uploaded by Don't Wake Me, I Plan On Sleeping In. For the past three Surfaces, I've made it a habit to pop into FAO Schwartz at The Forum Shops in Las Vegas. I'm deliberate and specific in my shopping objective: one outfit for my daughter's Madame Alexander doll. Now, before even entering the store, I have issues with FAO Schwartz and this doll... which my daughter received at a birthday party that took place at FAO Schwartz in NYC [don't ask; it's a whole other story]. Imagine a hand-size version of American Girl Doll where you pick skin, hair and eye colors. She came with a sad-looking pink stretchy shift [that I subsequently jazzed up]. I have a soft spot for dolls [vs. baby dolls] and hate to think of them not being loved and played with by a child. Going from experience, I know that the chance of a doll being ignored increases dramatically if she has no clothes. So, I did my duty at the party and purchased one additional outfit -- trying to overcome sticker shock. I assumed that I could easily purchase other outfits for special occasions online. When I got home and started researching, I learned that not only could I not purchase outfits online, but that my options consisted of shlepping into NYC -- or another FAO location -- or calling a personal shopper and wading through verbal descriptions of what the choices consisted of. Can you imagine? Can you believe how inefficient and inconvenient a proposition? In this day and age? I was stunned. But the poor doll needed clothes. And although I made her some, she still needed shoes and a few other items and with Surfaces in Las Vegas and FAO Schwartz there, too, well I had a less inconvenient option to consider. If you've been to the FAO Schwartz at The Forum Shops, it's an imposing visual experience complete with Trojan Horse, larger than life stuffed animals and a vertical cornucopia of toy possibilities. Should be fun, right? I take the main escalator which takes me to the top floor - one floor too high. So the store flow has forced me to an indirect path to my destination [I forgot to mention, I am tired from standing all day, my feet hurt, my back is sore and FAO Schwartz is as far removed from the entrance to the Forum as is physically possible]. I find the escalator to the mid level and locate the Madame Alexander section. It is poorly kept with broken or incomplete displays. No one occupying the register area there. The outfit I opt for is out of reach [I am average in height - i.e., what I encountered most shoppers would]. I must use another item to wriggle it off its post. Did I mention that the entire store felt abandoned? Few customers, not a single kid. Not many sales associates. I went in search of a manned register to pay. Found it and left. Fast forward to 2008. Essentially the same experience. Same sad vibe. The interior of the store hasn't been updated, rearranged, changed in any way. As for Madame Alexander's outfits, they are exactly the same, except that they've been marked up an additional $5. Oh, and when I checked out, I had to work to get one of the four sales associates to pay attention to me, they were so busy chit-chatting. Needless to say, what few warm and fuzzies I felt for FAO Schwartz are gone. Not only do they force me to behave in a way that is inconvenient and inefficient for me - the customer, but they make very little effort to encourage me to return to their store: they aren't updating their merchandise frequently and their customer service attitude is indifferent.